Click here for the YouTube tutorial video of this post! This meal is really easy to prepare. Simply coat your skillet with oil and heat it up to the max. After a minute or so, drop it down to medium. Crack the eggs open and drop them in the pan. 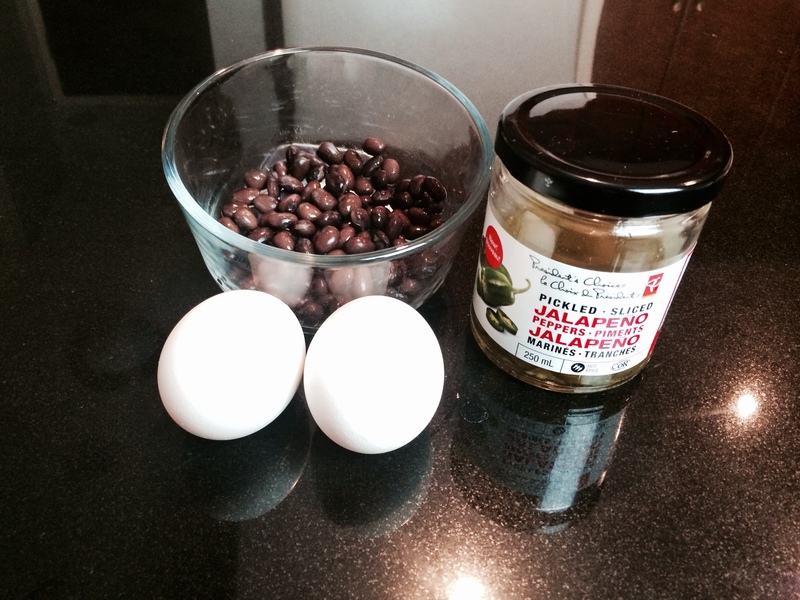 Add about 3 tablespoons of black beans and 8 to 10 jalapeno, more if you want extra kick. 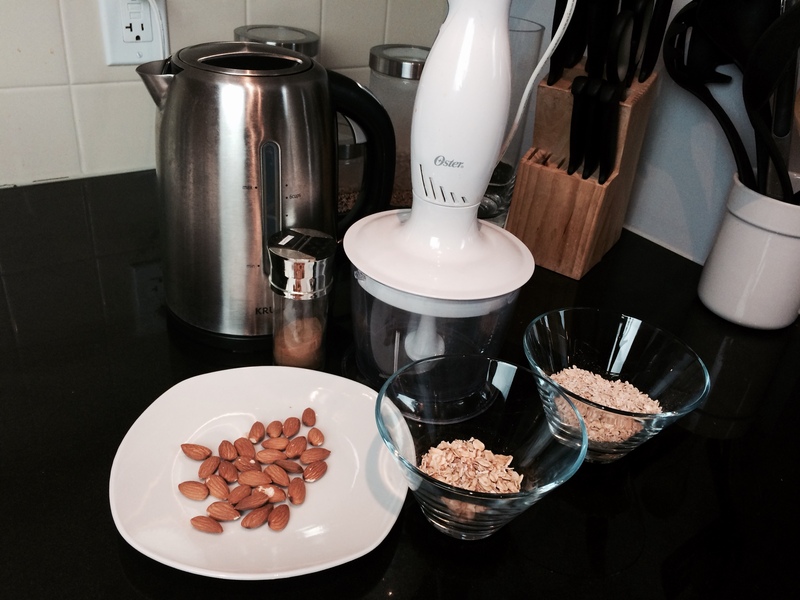 Within 3 minutes, your breakfast is made! 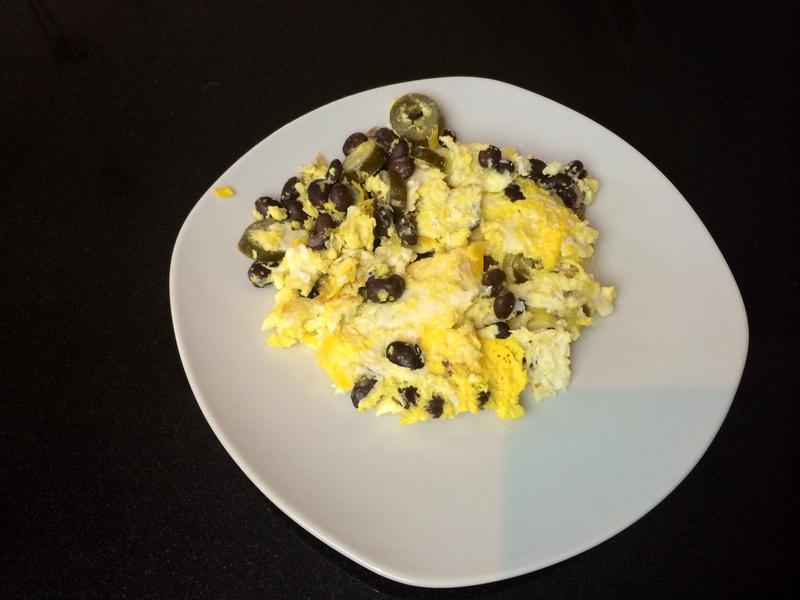 With all the protein from the eggs and beans, as well as fibre, you’ll be full for hours to come. 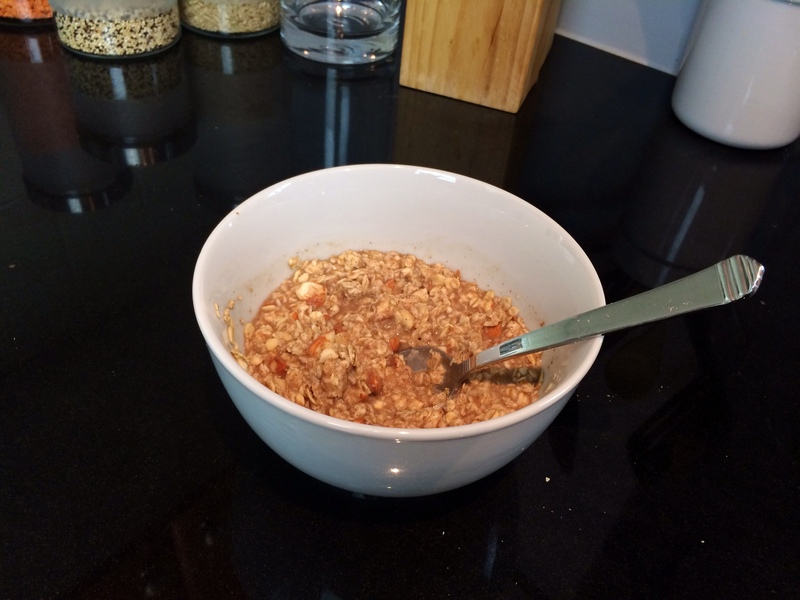 Another easy breakfast to prepare. The most work comes from chopping the protein, almonds in this case. Using a 2-part quick oats to 1-part granola, and the ingredients, including the almonds and cinnamon (use as much as your taste buds can handle). Add about a half-cup of boiling water to the bowl and get to mixing. If you need more water, use your discretion. Am I the only one who doesn’t feel hungry after an intense workout? I just never have much of an appetite to speak afterwords. But we all know replenishment is key, especially when it comes to protein. We want those muscles to stay strong! This is why I opt for a something that’s not too heavy that’s chock-filled of protein. Greek yogurt smoothie it is! 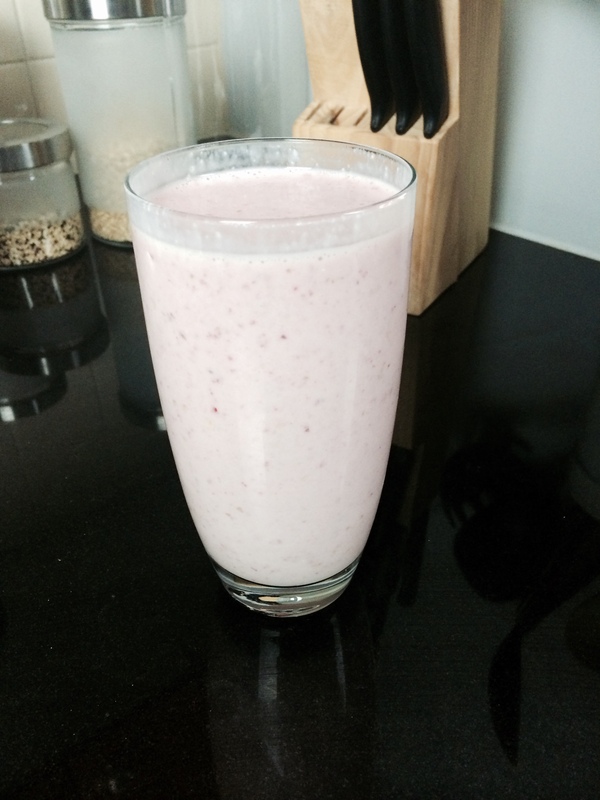 I use about half a cup of plain Greek yogurt (don’t use the flavoured stuff – that’s just more sugar you don’t need to eat), a half a cup of cold water, two handfuls of unsalted almonds, frozen fruits, usually strawberries and bananas, and a pinch of honey. 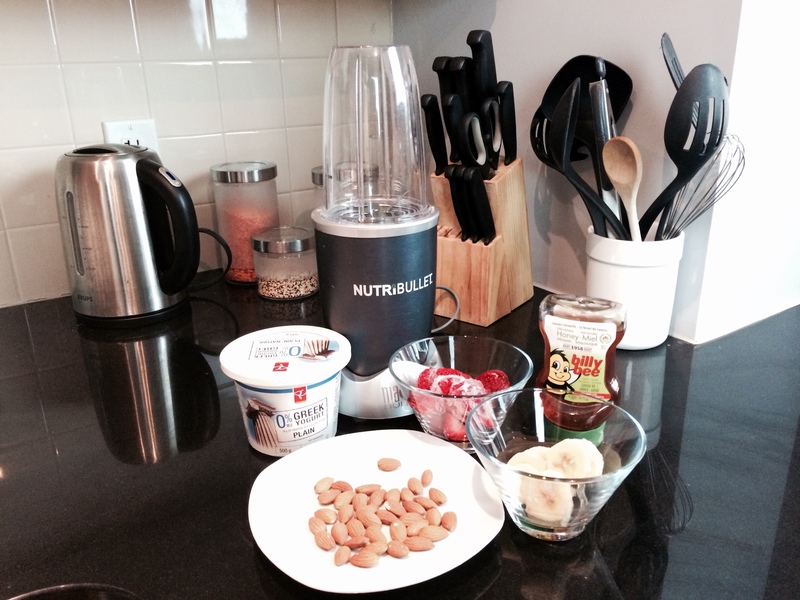 I use my trusty Nutribullet to blend it all together. After 20 seconds, my meal is done! How many times has your salad died a slow death in your fridge? That’s a regular occurrence at my condo, mostly because salad can be soo damn boring! But when jazzed up, it can be a masterpiece! 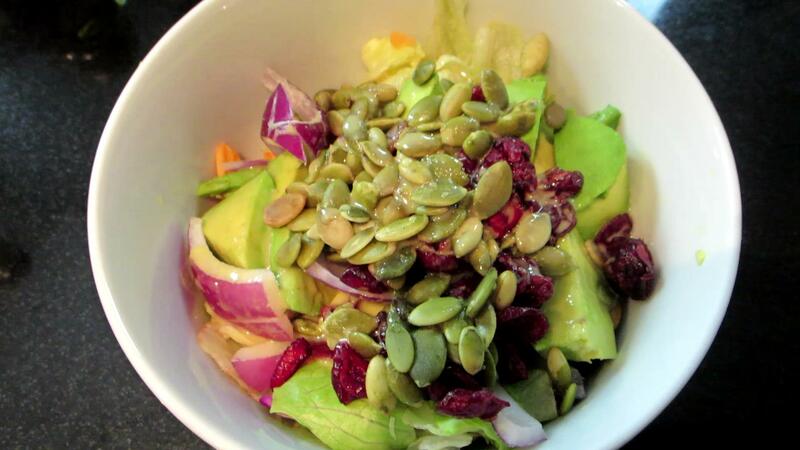 Avocado adds healthy fat and taste; pumpkin seeds add crunch and protein; red onions add wonder because red onions are wonderful! And dried cranberries and a unique texture and just the right amount of sweetness. Using a homemade salad dressing, comprised of Dijon mustard, olive oil, apple cider vinegar and a dreg of honey, your meal is complete. 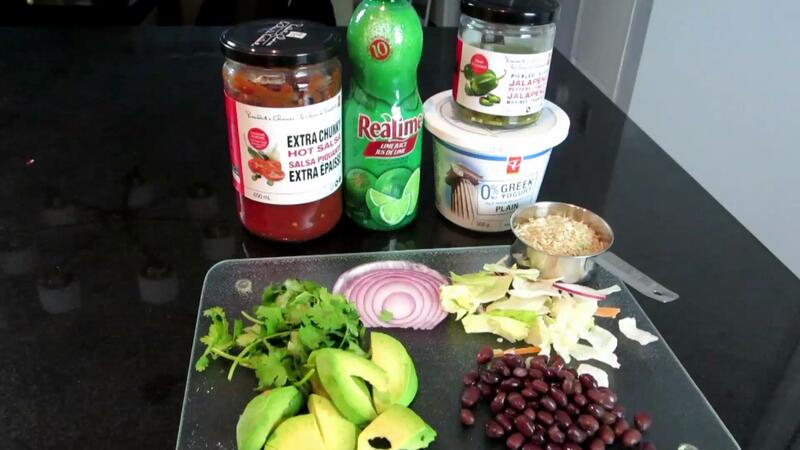 The ingredients I used were brown rice, black beans, salsa, lettuce, jalapenos, cilantro, avocados, lime juice, onions and greek yogurt. I started by cooking the cleaned-off rice in my rice cooker. While that was going down, I blended the avocados, cilantro, onions and lime juice to create a make-shift guacamole. When the rice was finished cooking, I added the black beans to the pot, just to warm them up a bit. After two minutes or so, I loaded the combination to a bowl. 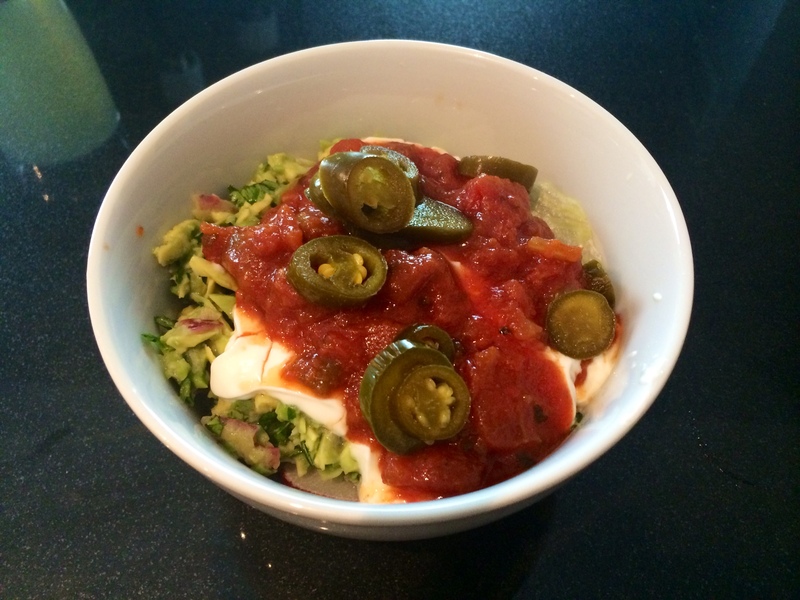 I added the lettuce, guacamole, greek yogurt, salsa and jalapeno. The standout to me in this recipe is the plain greek yogurt. It is used as a sour cream substitute, and it does a marvelous job. It has the tangy element, similar to that of the cream, but has a fraction of the fat and salt, and it also packs a huge protein punch. After all this eating, you’ll need something to wash it down with. I’m a pop/soda lover, particularly Coca-Cola – the taste of those sweet bubbles makes me happy. But the sugar, though! 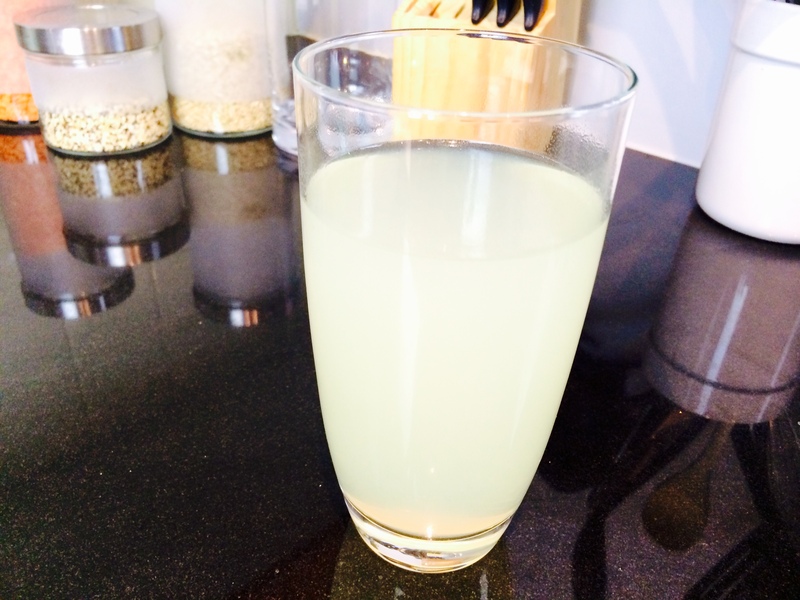 So I’ve been drinking an alternative that meets one of my desires – drinking soda water. There is a brand of low-sodium soda water that I enjoy virtually every day. Sometimes I drink it plain, other times I drink it with a splash of lime juice. 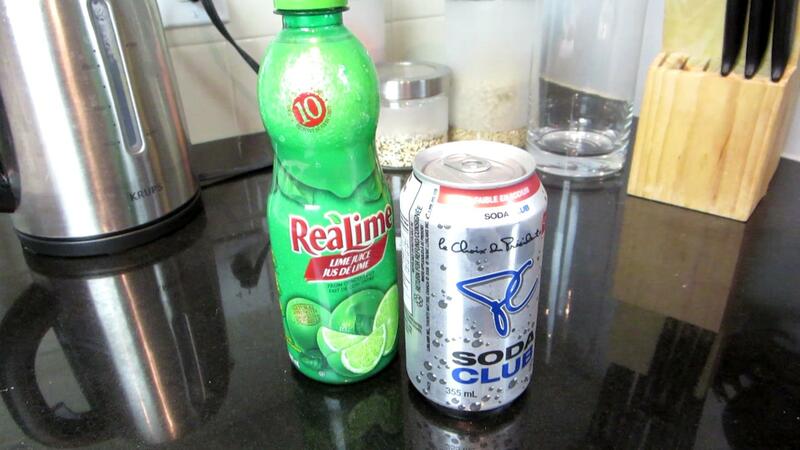 Yes, I know the similarities between cola and soda water aren’t as close as those between sour cream and greek yogurt, but you can get used to it. ANd knowing that it has zero calories always helps! 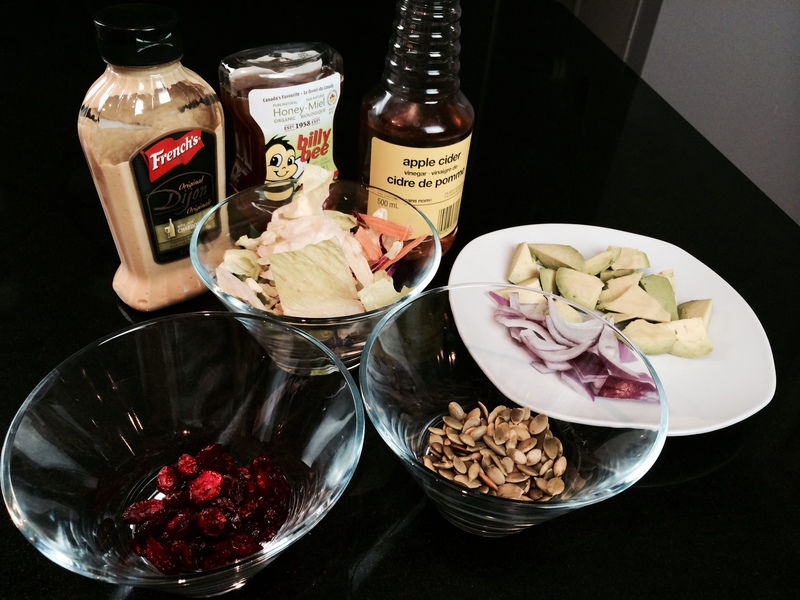 It’s funny – after adding these meals to my regular rotation, I realized that all of them happened to be vegetarian! As an ardent omnivore, I never even intended on dropping the meat, I just ended up doing it accidentally. So anyone who says vegetarians must eat boring food is wrong! Try these meals out. If you do, leave a comment and tell me all about it!